After liftoff from Kennedy Space Center in Florida in July 2018, the Parker Solar Probe will become the first to fly directly into the sun's atmosphere, known as the corona. The plan for the unmanned spacecraft is to orbit within 3.9 million miles (6.3 million kilometers) of the sun's surface. 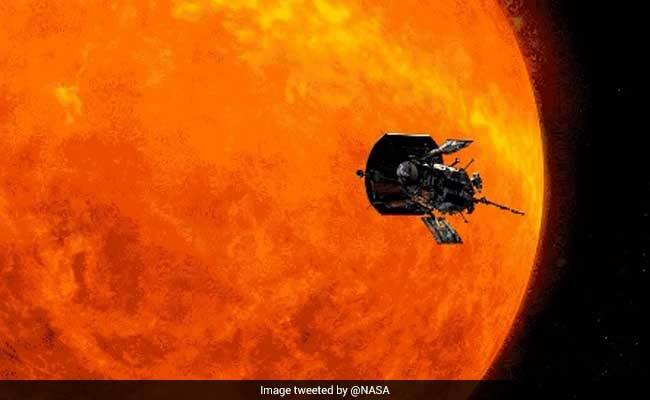 Roughly the size of a small car, the probe will make seven flybys of the sun over a seven-year period, in what NASA described as a "mission of extremes." Traveling at a speed of 430,000 mph, the spacecraft will move fast -- like going from New York City to Tokyo in less than a minute. "We will brush closely by it," she said at an event in Chicago to unveil the mission, which NASA has touted as promising to provide humanity's closest-ever observations of a star. "You can learn so much from looking out the window," Fox said. "You can see the sun is shining, you can see the birds are singing. But until you actually go out, you have no idea quite how hot it is out there or how windy it is, or what the conditions are like." "I think we have really come as far as we can with looking at things and now it is time to go up and pay it a visit," she added. A 20-day launch window for the spacecraft's liftoff atop a Delta IV Heavy rocket opens July 31, 2018. He published the first paper to describe solar wind -- the high-speed matter and magnetism constantly escaping the sun -- in 1958. "This is the first time NASA has named a spacecraft for a living individual," said Thomas Zurbuchen, associate administrator for NASA's Science Mission Directorate in Washington. "It's a testament to the importance of his body of work, founding a new field of science that also inspired my own research and many important science questions NASA continues to study and further understand every day." Parker, who is days away from his 90th birthday, described the mission as "very exciting." "One would like to have some more detailed measurements of what's going on in the solar wind," he said. "I'm sure that there will be some surprises," he added. "There always are."